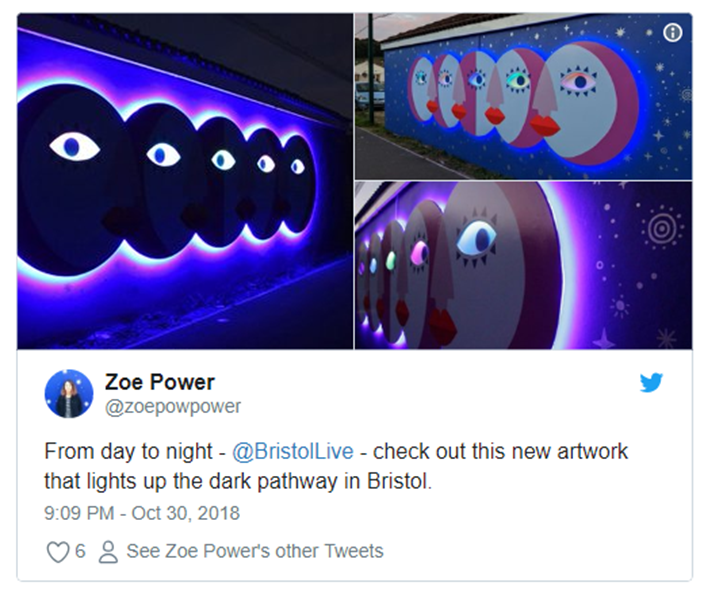 Zoe Power created Bristol’s first LED light-powered mural to illuminate a dark pathway. Zoe Power’s piece, Electric Moon, is made from waterproof LED tubing which glows in the dark. The artwork’s eyes flicker and change colour. 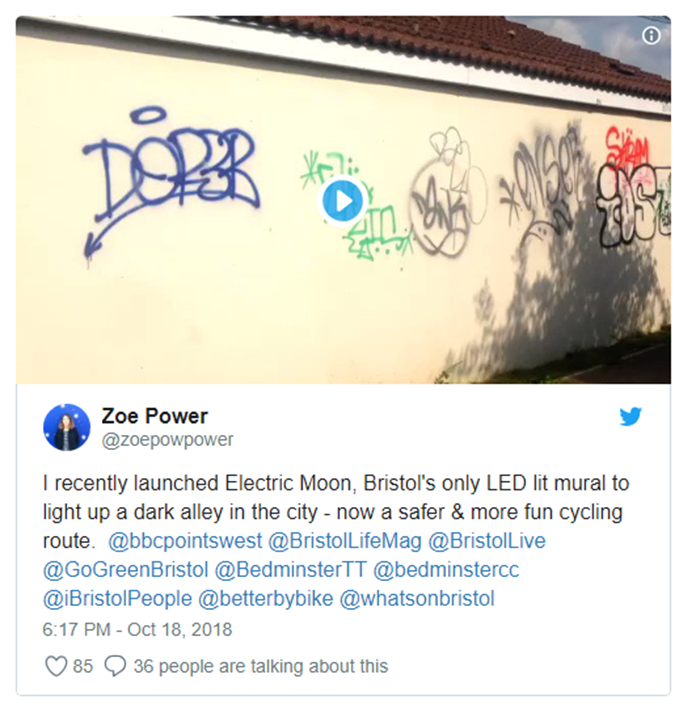 Power, who was a student at UWE Bristol University, was inspired to create the project in Festival Way after she commuted to and from her studies in complete darkness. She said: “The project came about on my daily commute to university. I would cycle down Festival Way, which is part of the national cycle network. At night, and particularly in the winter months, the path is completely unlit and pretty dangerous. 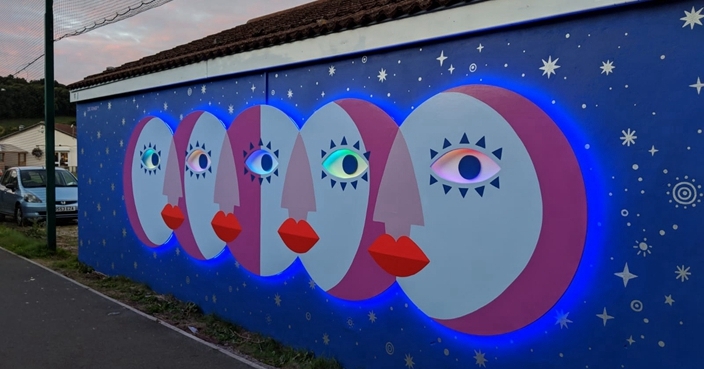 “As a mural artist, I’m always looking for potential walls, and the wall that ran alongside the path was definitely in need of a lick of paint. 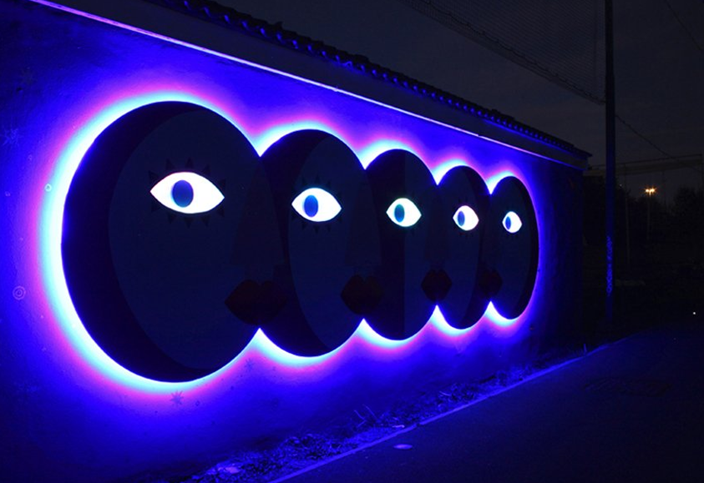 The Electric Moon mural uses LED tape, which creates a strong glow to light up the path, while using less power than conventional street lighting. Power has created several works in Bristol, with her art also featuring on the Bristol Pound £1 note. 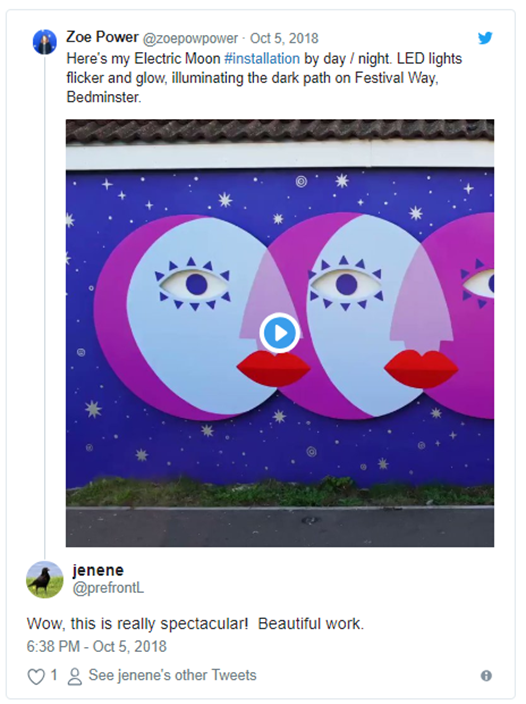 Response from residents and on social media has been positive, with a video promoting the artwork reaching more than 1,600 views on Twitter.